This powerful Corona explodes with rich, bold flavors that the most experienced of smokers have come to love. This smaller size intensifies the taste with its higher combustion rate. Enough talking, just smoke this little firecracker and see what we are talking about… You will love it! Packaged in a box of 25. 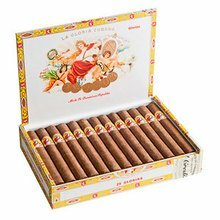 These are my go to cigar when I'm looking for something mild, smooth, with a really enjoyable flavor. It starts with an earthy and leather flavor that makesxway for a subtle spice, but nothing overpowering. The draw and burn were perfect. Did not care for this cigar. Personal preference. No good. Try another one. I did not enjoy much about this cigar. The Gloria's glorias is far from glorias. It is pretty bland and not a great choice for me. This was my first time trying this particular brand and I must say I'm quite impressed. I don't think this is the best stick out there but will definitely be trying others from them! One to hold on to. Great consistency and full of flavor. No harshness or bitterness. Easy and smooth draw. I will keep a few of these around. This is a great smoke for the money. The flavors are very enjoyable however I would suggest buying a 5er or more due to the tight draws on some sticks. I find this particular cigar to pair great with a bottle of coke. I dont like spicy cigars which these most definitely are. good draw good smoke. just not for me. Good smoke, especially for the price. The bundles back in the day, where always superior as they were rolled by Cuban Torcerdors. Wrapper is very flavorful and enhances the cigar overall. 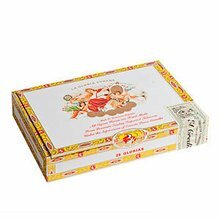 I used to buy these and other La Gloria at the factory on Calle Ocho in south Miami about 25 - 30 years ago. The current La G. Are not the same. They are poorly rolled. They do not burn evenly. Some are plugged but the flavor is still good. LGC is a solid brand. Reasonably priced for a medium-full smoke. Not super complex but better than your typical bundle smoke. I think this blend tastes better than its Cuban namesake. Try a 5er before you commit to a box. Worst case you've got a few better quality sticks to toss in your moochidor! Great cigar and easy smoke. I have smoked these for years. Great price and JR had a box at my house in no time. Will buy again. These cigars are extremely enjoyable and well made, flavorful but with a lot of flavors coming thru. Buy them when they are on sale for a good price, and enjoy. 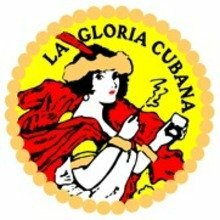 Hands down my favorite ... anything from La Gloria Cubana is going to be good .. perfect draw.. great flavors.. flawless construction.